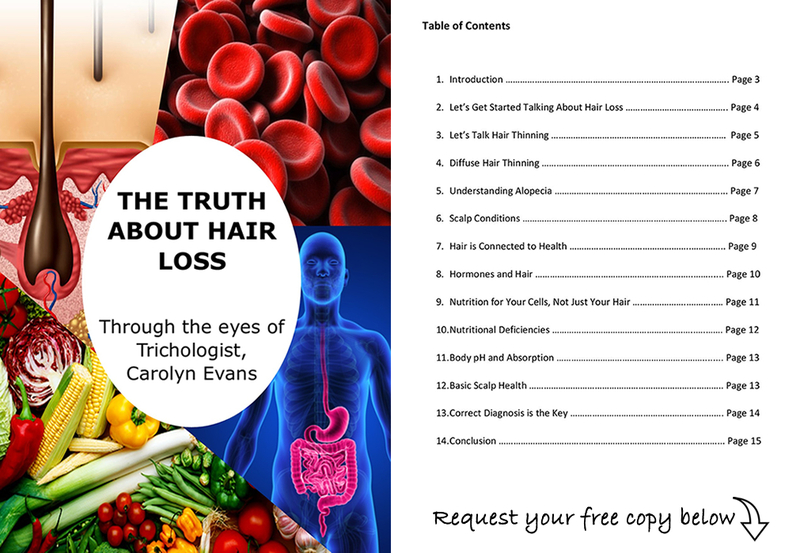 Most clients describing Hair Loss are actually have Hair Thinning. This common misunderstanding requires learning about the significant differences between Hair Loss which is hair falling and Hair Thinning which is miniaturized hairs. Understanding the difference will help you to choose the Best Hair Loss Treatments for you. The hair cycle controls every hair your head and is mainly the cause of Hair Loss related to health problems or hair changes that in turn can result in Hair Thinning or Hair Loss when the hair cell is disturbed or the hair cycle is disrupted. When reading the hair cycle it is best to be accurate by using a digital microscope. Magnification of 60x is the best image to read the hair cycle and can only be read in the terminal area (back of head, occipital region). The front, top, recession and sides of the head can be effected by Female Pattern Thinning and Male Pattern Thinning related to dihydronetestosterone (DHT). Every hair in the terminal area should be the same diameter and distribution which reflects your genetic hair type. When thinner or smaller hairs or empty follicles are found in the terminal area we can tell the hair is not growing properly which in turn could also affect the hair cycle. The Anagen phase determines how long the hair will grow before moving to the next phase and can be read by how long the hair grows in length. When Anagen hairs reach their pre-determined hair cycle length of years it will automatically go into the Catagen transitional phase. Anagen growing hairs can grow from between 2-8 years depending on your genetics. Coming out of the Catagen phase the hair enters the Telogen resting to falling phase where a new hair is developing which will push out the old hair with a new hair growing and the hair cycle begins again. Your hair cycle is unique to you and can be interrupted. When something goes wrong in the body it can affect the hair cycle or the division of the hair cell which can result in Hair Loss or Hair Thinning. This is very different from Female Pattern Thinning and Male Pattern Thinning related to DHT. Most Hair Loss Treatments don’t consider the hair cycle and it is essential to check and correct the hair cycle as well as pattern thinning to get the Best Hair Loss Treatments results. Absolique Hair Health Clinic Trichologist uses a microscope to diagnose the hair cycle and the presence or absence of pattern thinning with a specialized service called a ‘Hair Health Check’. This service is a combination consultation and microscopic diagnosis. 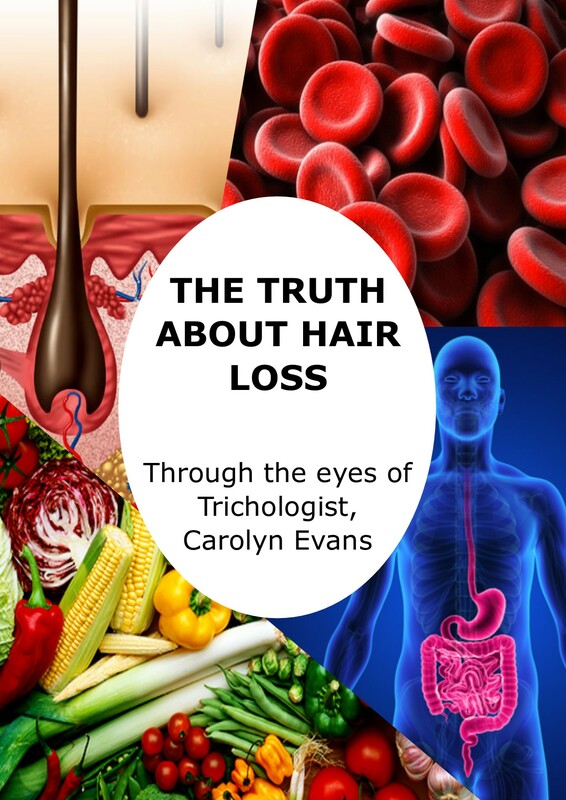 There is a lot of information shared in these sessions and it allows you to choose the Best Hair Loss Treatments for individual hair loss or hair thinning concerns. Hair Health Check cost is $200 and takes up to 75 minutes. Please don’t wash your hair for 2 days prior to your Hair Health Check. Call 07 3229 3242 to book your Hair Health Check appointment. Best Hair Loss Treatments Always Start with Correct Diagnosis .